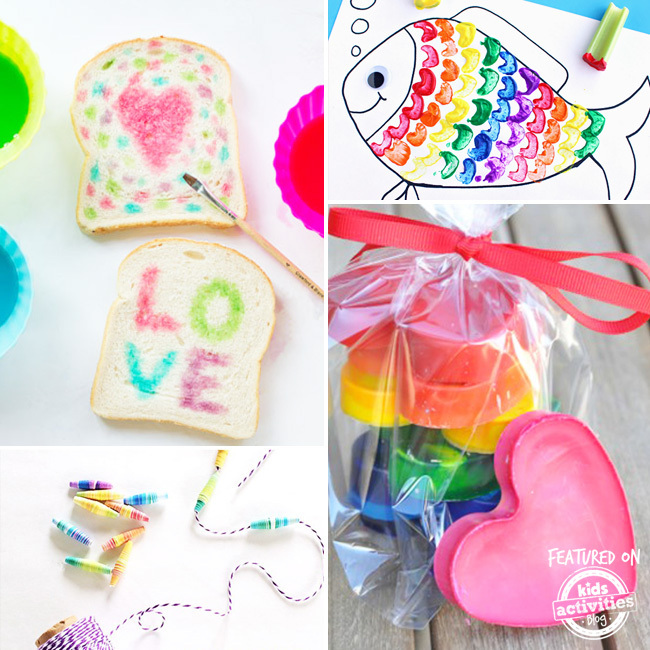 These 40 Fantastic Rainbow Crafts are the perfect spring activity! They’re also great for celebrating St. Patrick’s Day! Kids love rainbows because they are so bright and cheerful. 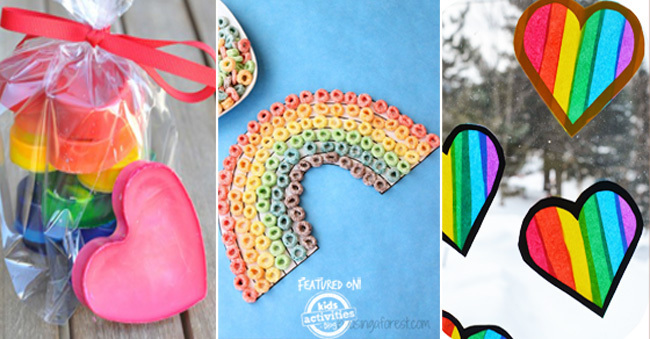 Looking at these rainbow crafts make me so excited for spring! 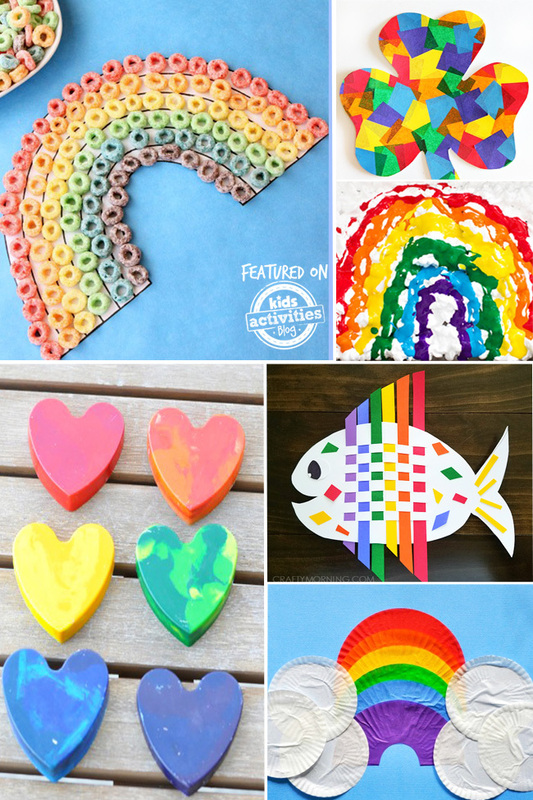 We also have a great roundup of colorful Printable Rainbow Crafts and Activities that you’ll want to check out. Bright and Colorful Rainbow Activities for Kids! 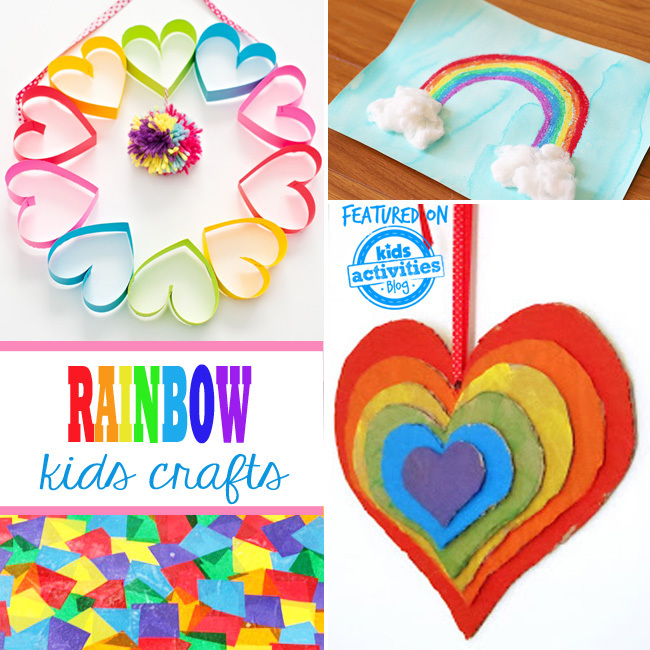 More Rainbow Activities Your Kids Will Love! You’ve been sharing your ideas for kids activity crafts with us over on our Facebook page and our activity link-ups. Head over and share yours! Thanks so much for mentioning the rainbow post I did at Three Boys and a Dog. I love this list and can’t wait to try a few more ideas this year for St. Patrick’s Day! Thank you so very much for the colorful fun we can explore through the weeks approaching St.PatricksDay! Love this list! Where is everyone getting their gold coins? I see them in sensory bin, art, playdough and all kinds of activities but haven’t seen them at the store yet. What a fun post! Thank you for featuring our marshmallow painting with rainbows, Liz. Tiffany, have you tried the dollar store? I think that is where we got ours. I love the assortment of rainbow crafts. They look so colorful and so much fun for everyone.